Topline: Subaru's first-ever plug-in hybrid will debut later this month at the 2018 Los Angles Auto Show. 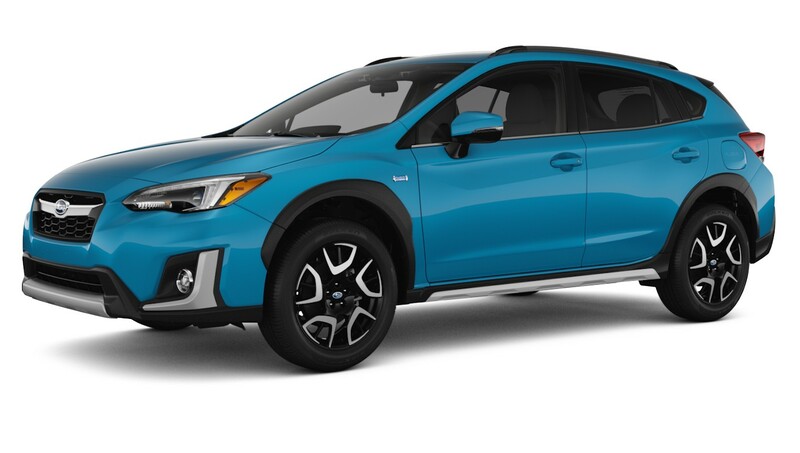 What's New: The Crosstrek Hybrid features unique exterior and interior styling along with new in-vehicle technology in order to distinguish itself from its gasoline-only siblings. Like the standard Trekkie, the hybrid variant is based on the company's Global Platform, which was designed to accommodate both electrified powertrains and normal internal combustion engines. 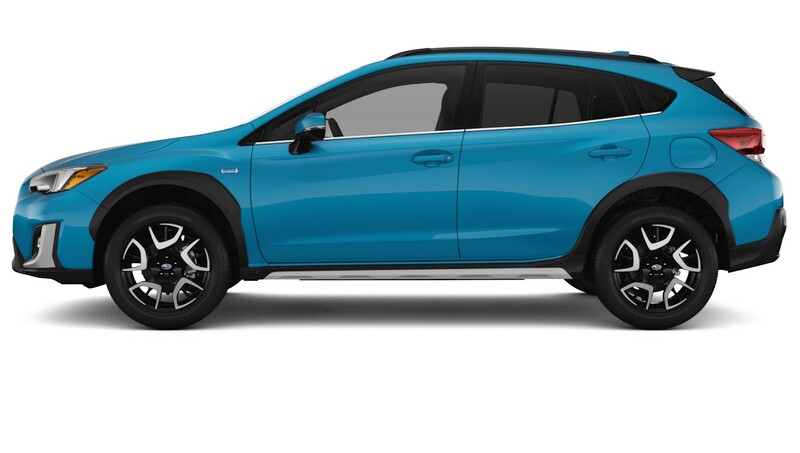 Lagoon Blue Pearl is exclusively available on the Crosstrek Hybrid along with three other exterior color options. The crossover is further distinguished from the non-hybrid models by its blue headlight projector rings and exclusive metallic finish on the front grille, lower front bumper and body cladding, and fog light accents. The low-profile roof rails and the hatch spoiler are painted black, while the unique set of 18-inch wheels in black with machine finish complement the car's overall styling. A "Plug-In Hybrid" badge on the rear hatch and fenders along with "Plug-In" text imprinted in the charge port door further distinguishes the Crosstrek Hybrid. 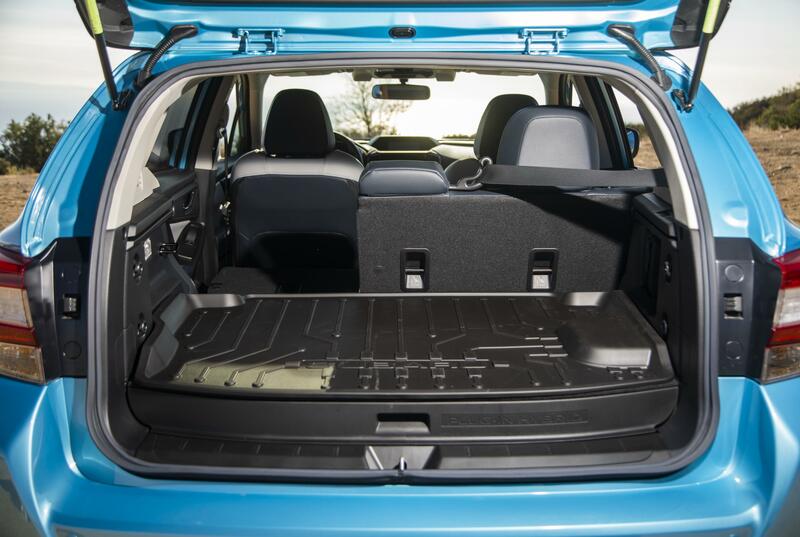 Inside, the Crosstrek Hybrid features exclusive high-contrast gray and navy blue leather seats, door panels, and armrests. Additionally, the cabin is complemented with blue stitching and accent panels as far as the eye can see. Like all Subaru models, the new model comes standard with a list of active and passive safety features. Subaru's EyeSight Driver Assistance Technology consists of Pre-Collision Braking and Throttle Management, Adaptive Cruise Control, Lane Departure, Sway Warning, and Lane Keep Assist. The 2019 Crosstrek Hybrid will also be the first Subaru model to have a Driver Assist Indicator installed at the top of the combination meter in order to increase the visibility of EyeSight status and other warnings. An optional $2,500 package adds a power moonroof, heated steering wheel, StarLink 8.0-inch multimedia system with voice-activated navigation powered by TomTom, and Harman Kardon eight-speaker system with 432-watt amplifier. Subaru's in-vehicle technology provides hands-free connectivity and entertainment via the vehicle's multimedia or navigation system. 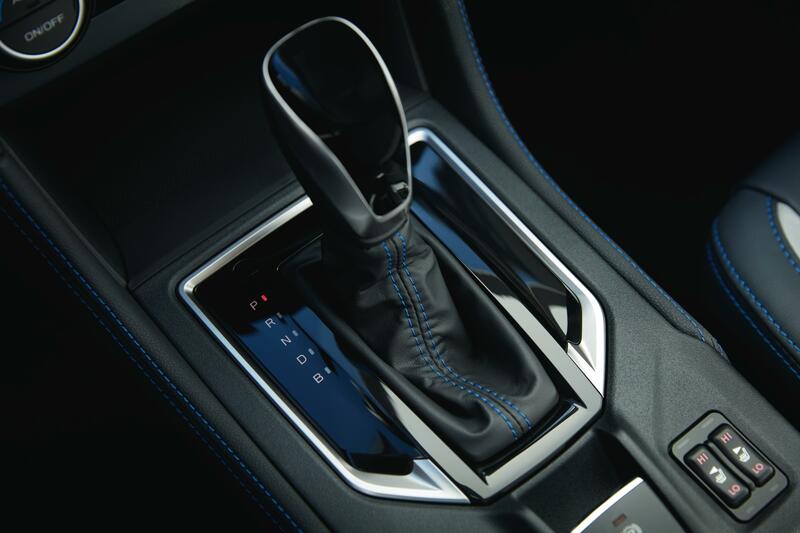 However, in the Crosstrek Hybrid, the connected services gain exclusive features like Remote Climate Control and Remote Battery Charging Timer. The Crosstrek Hybrid also comes standard with a complimentary 10-year subscription to Subaru StarLink Safety and Security Plus package, which includes the previously mentioned Remote Climate Control and Remote Battery Charging Timer along with SOS Emergency Assistance and Automatic Collision Notification. Additional features in the complimentary package consist of maintenance notifications, monthly vehicle health report and diagnostic alerts, stolen vehicle recovery service, vehicle security alarm notifications, remote horn and lights, remote lock/unlock, and remote vehicle locator along with parental features consisting of a boundary, speed, and curfew alerts. The optional StarLink concierge package features in-vehicle assistance which can find restaurants and make hotel reservations, purchase tickets for recreational events, and schedule service appointments. What You Need To Know: The 2019 Subaru Crosstrek Hybrid is powered by a 2.0-liter direct-injection boxer engine combined with two electric motors. Power is sent to all four wheels via Subaru's symmetrical all-wheel-drive system and the engine is backed by a new Lineartronic CVT. In full electric mode, the Crosstrek Hybrid is capable of speeds up to 65 miles per hour and is a full second faster to 60 mph from a standstill when compared to the standard Crosstrek. The new powertrain is also rated at 90 MPGe and has a combined gas and electric range of 480 miles. The 2019 Subaru Crosstrek Hybrid will debut later this month at the 2018 Los Angles Auto Show (Nov. 30 to Dec. 9) and will start arriving at local dealerships by the end of this year with an MSRP of $34,995. A $975 destination and delivery charges are not included in the MSRP.